Sports Charity - Samlerhuset Group B.V. The Finnish operation, Suomen Moneta, is the main partner of the charity campaign “Donate to an athlete”, Tue Urheilijaa. Suomen Moneta produced a gold-plated Helsinki 1952 ingot and a necklace, which are both sold in support of the Finnish athletes. In 2015 Moneta also partnered with legendary ice-hockey superstar Teemu Selänne to help children fulfill their dreams. 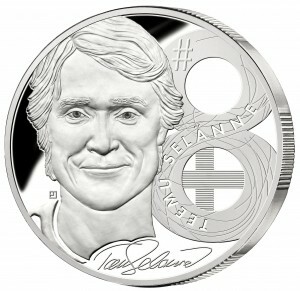 From every Teemu Selänne -medal sold, an amount is allocated to a child or family in need. “Charity has always been an important part of my life. I am well aware that many families today struggle to pay for their childrens´ hobbies. This is a good way to raise funds for children in need”, Teemu Selänne said.